Join George and Adrianna at the Potamitis studios for a friendly vacation atmosphere in a pretty olive and lemon grove setting. Enjoy a comfortable stay in the lovely studios and join in the fun at the pool bar. Breakfast and delicious traditional home cooked food are available all day. After enjoying your breakfast, you can relax by the pool and have a refreshing cool drink at the pool bar or take a short stroll on the beach. The Potamitis studios have been awarded the Gold Medal award by Thomson Holidays consistently every year since 1996 for their continual high standard of accommodation. 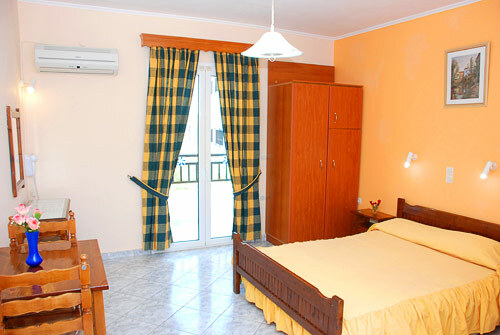 The studios are spacious and well kept and can accommodate 2 adults. 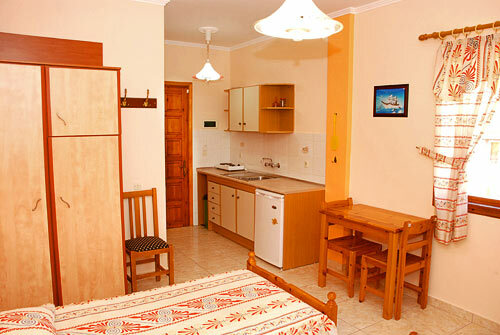 They include double or twin beds, a kitchenette (suitable for making light snacks) with kettle and fridge, A/C, shower, WC and furnished balcony. 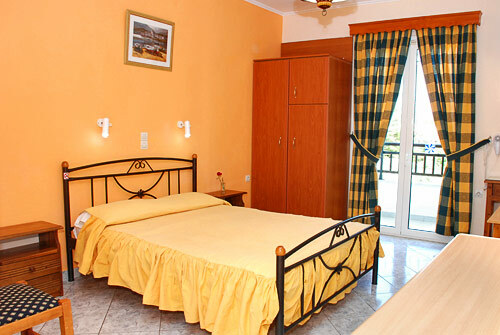 Near to the studios is a large swimming pool and children's pool with sunbeds where you can relax and soak up some sun. The swimming pool is open to all and George and Adriana will strive to assist you with anything you may need. Once a week, George offers an entertaining BBQ night by the pool. 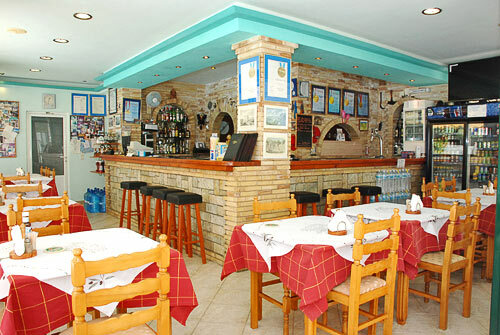 This friendly accommodation is located in Alykes tourist resort which takes its name from the salt flats (Alykes in Greek). 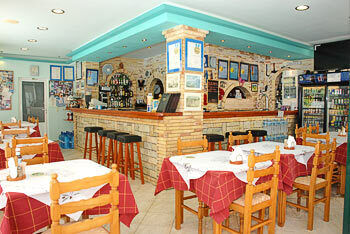 The clear blue waters of the sandy beach and the many shops and tavernas will make your holiday fun and complete. Enjoy leisurely walks by the beach or among the local businesses. Try some thrilling water sports or take a bus ride to town to explore the museums, the church of Saint Dionisios and the cafes. Alykes has something for everybody. Potamitis Studios is currently exclusively with TUI travel agents. For stays in October, you can also book direct!